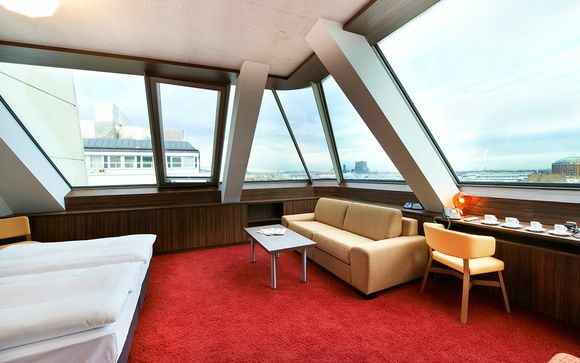 Weekends in Vienna up to -70% off To take advantage of these offers, join now for free! Vienna is an almost timeless city, of fairy tale-like Gothic beauty. Choose from our wonderful selection of romantic breaks and spend a lovely weekend getting to know this romantic city. 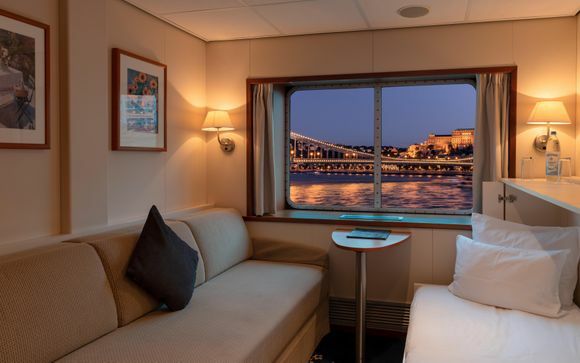 Take the chance to enjoy one of our great getaways and enjoy two nights in Vienna, getting to know the delights the city has to offer. Arrive and unpack in one of the boutique hotels we have specially selected for you, and then head out and enjoy the city’s elegant beauty. 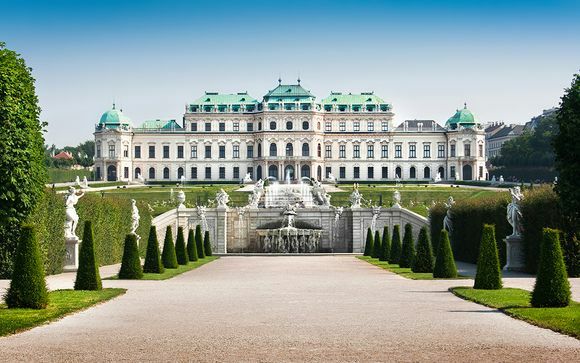 A good place to start romantic city breaks is the Belvedere Palace and Gardens, which can easily be reached with a short taxi ride. Originally built in the 17th century for Prince Eugene of Savoy, the two palaces are now a museum which houses many notable works of art including The Kiss by Gustav Klimt. The baroque gardens are beautifully set out and maintained – perfect for a romantic stroll. Return to the city centre to enjoy an excellent dinner, sampling the local delicacies. Remember to leave room for dessert! The city’s pedestrian zone doesn’t allow vehicles after 11 am, so you can relax and explore in peace. 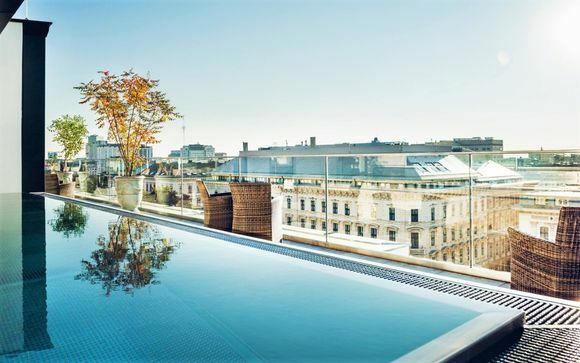 Vienna is a remarkably beautiful city, many of the buildings were damaged or destroyed during the Second World War but the renovation and restoration is admirable. Your wanderings will take you past buildings from every century, dating right back to the 1200s, perching together in an unusual architectural harmony. In the middle of the pedestrianised district you will find St Stephen’s Cathedral, an imposing Gothic structure that is a reminder of Vienna’s importance to the Hapsburg reign. 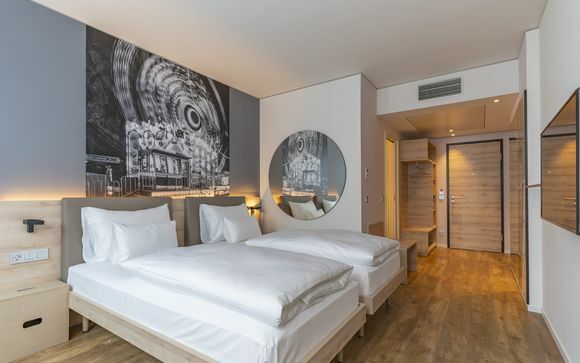 The city is compact and pedestrian-friendly; after a lunch of local specialities in the Naschmarkt visit the museums district, where you will find artworks and culture aplenty. After an early dinner, more culture awaits you, this time in the form of classical music. As you would expect from the city that was home to Mozart, Haydyn, Beethoven, Schubert and Strauss, Vienna is home to a wonderful concert hall in the shape of the grand Vienna State Opera, where you can attend concerts by the resident Vienna Philharmonic, or take in an opera – although some may have too tragic an ending for romantic weekends! You may wish to take in mass at the Hofburg Chapel, part of the large Hofburg Palace. There is a performance by the Vienna Boys Choir, a tradition that dates back to the 1400s. 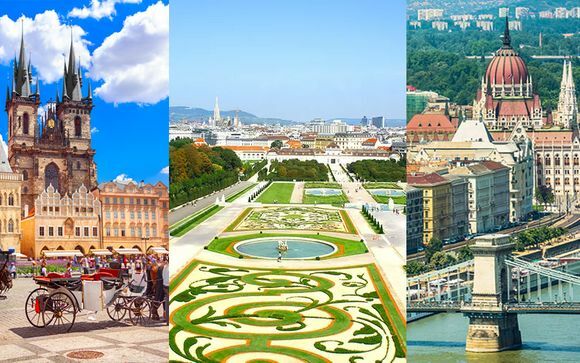 As well as historical and architectural delights, Vienna is world renowned for its coffee shops, where you can enjoy your time together and watch the world go by, while you enjoy coffee or hot chocolate, and sample some of the wonderful pastries and cakes for which the city is so famous. Treat yourself to a romantic Venetian break by signing up for our exclusive, handpicked offers today.